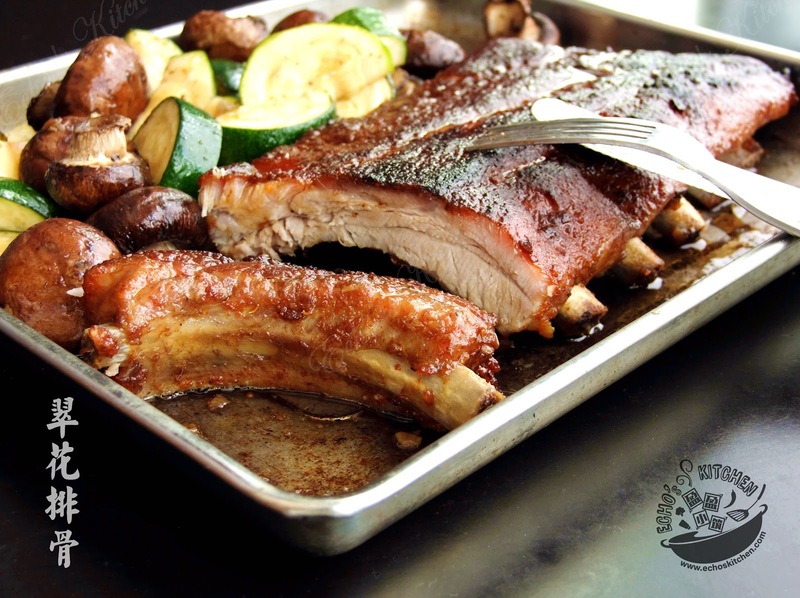 This Cui Hua BBQ Spare Ribs were a legend created at the famous North America Cooking forum "Wenxuecity Cooking Site" by a member nicknamed "Cui Hua" 翠花 years back. 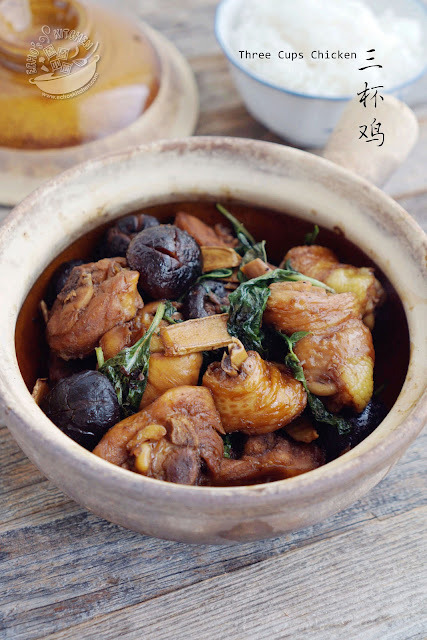 This recipe became such phenomenal it spiral all over the cyberworld,you could even find this recipe recorded in the Chinese version of Google -- Baidu! I made this several times and my family and friends love it a lot, I decided to make a post to record such a good recipe. Being raised Chinese, I am a soup lover. There were always a big bowl of (clear) soup on the table for every meal back then. I was a little shocked to learn that my in laws (Indians) don't have the habit of drinking soup over a meal. A sort of cultural shock to me. Tamatar Shorba/Indian Style Tomato soup is one of the few soups that my Indian side of families enjoyed, it is mostly being ordered in restaurants or served during parties, it is more like a western influence treat with Indian tweak. I now make this soup occasionally，when I have plenty of harvest of tomatoes in the summer and/or during exceptionally cold days in winter. I made Ribs Congee not long ago and posted the picture on my FB page, it was my maternal grandma's recipe, my cousin Yin saw that and asked if I remember the Chili/Sambal Mackerel that grandma used to make. 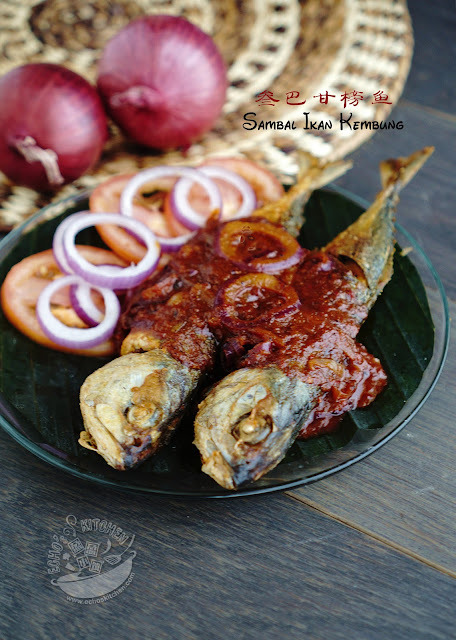 It brought back so many memories when she mentioned this dish, I was very young and was still learning to eat spicy food, a little of this sambal paste with fish will have to be eaten with lots of white rice for me. I will fold a little of the sambal paste in the rice with some crushed mackerel and enjoyed it like I would with fried rice. Shio-koji 塩麹 is my new obsession! Koji（麴）is rice that's been inoculated with the koji mold, it is an ingredient that has been used for centuries in Asia to make soy sauce, soy bean paste, miso and wine, When koji is combined with water and salt and allowed to ferment, it turns into shio-koji or salt koji. 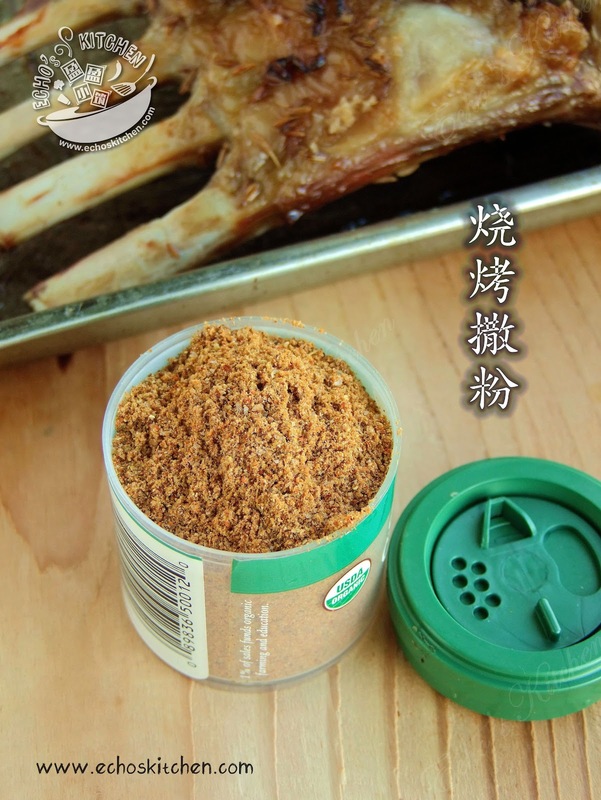 It is the magic seasoning ingredient that is much talked in town, it adds an umami punch to food, it also tenderizes and gives meat golden glow. 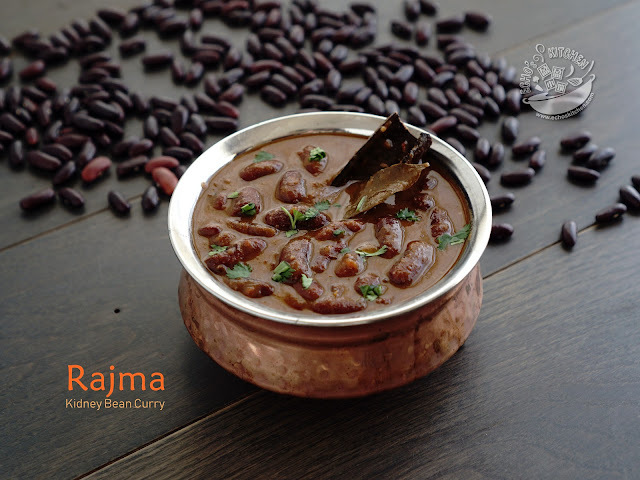 It allows you to cook with less salt, less fat and brings out the natural sweetness of meat without using MSG. I first learnt about it in a Japanese series named Osen (おせん) and tasted pork belly made with it in one of our family gatherings, it was an instant love. I bought two bottles of Shio-Koji during one of my recent visits to Mitsuwa and couldn't stop using it since. 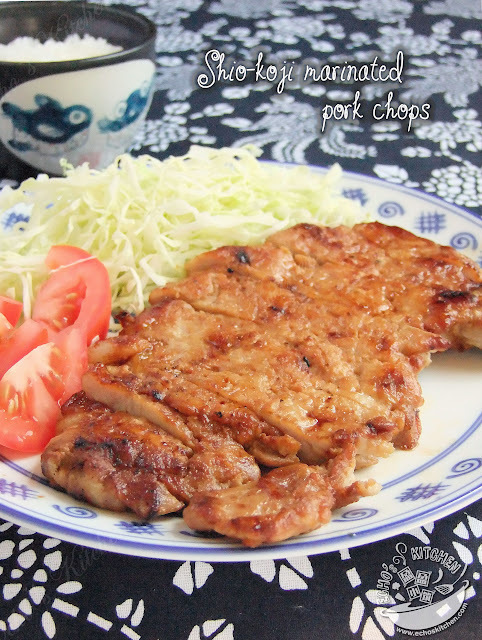 These juicy pan-seared pork chops I made today get incredible flavor from shio koji, it turned hard to cook,often rough and chewy pork chops into tender, juicy succulent delicacy. 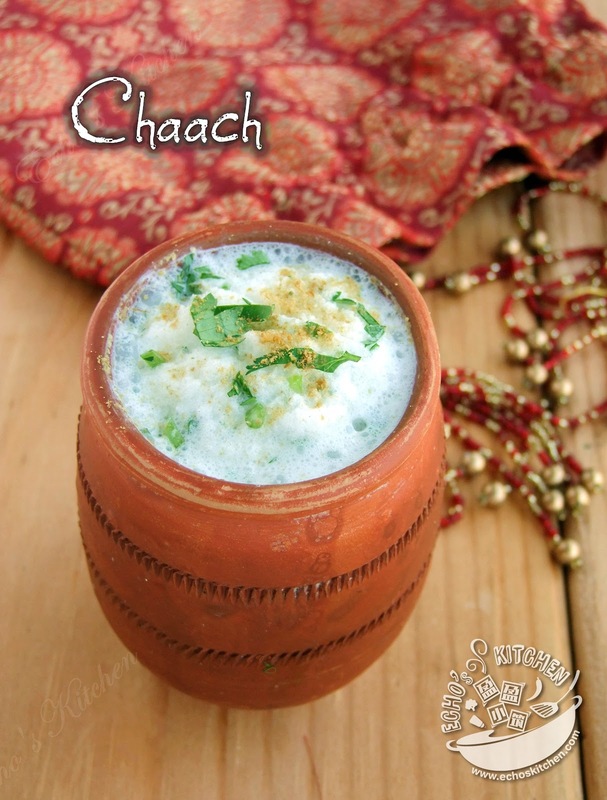 Chaach or Chaas is a yogurt-based drink dilutes with water, it is normally consumed plain or seasoned with a variety of spices, a very popular drink especially in across India, especially in summer. It is also believed to aid digestion, thus often consumed after a heavy meal. It is commonly made with yogurt that is a few days old and is more sour in taste, I made this plain Chaach using my homemade yogurt this afternoon, it is refreshing and very yummy! My husband N and I love Xinjiang Style Lamb skewers. We have eaten the skewers on many occasions at bbqs with friends, at restaurants and at the roadside carts in flushing, NYC. I made rack of lamb from Costco the Xinjiang style at home couple of times, it turned out very tender and juicy that we could not even stop eating. The first step of making a good Xinjiang style lamb chop is to have some good seasoning powder, this powder works as sprinkles during the BBQ process. When blended with grease releases from lamb, it gives a very spicy and delectable taste, it is very addictive though. Since I have many spices at home, I decided to make my own seasoning, it took me 3 attempts to find the right ingredients and ratio, I am very happy with the result! Apam balik (Turnover Pancake) also known as Min Chiang Kueh，Ban Jian Kuih in Malaysia is a type of griddle pancake common in Malaysia. It is usually sold at specialist roadside stalls the country. In Malaysia, the dish has been declared a heritage food by the Malaysian Department of National Heritage. It is believed to have its origin from China, the Fujian Province. With those sweet little strawberries in the market （and some from my garden). I decided to make some Strawberry Lassi with my homemade yogurt, the whole family loved it! When we first came to the States, we were amazed with the price of foods here, coming from European country makes everything in the USA look so economical. We will go to Costco and bought tonnes of fruits and vegetables and meats, I will then literally cooking up a spree! Salmon was one of our favourite purchase, I was initially very happy with the cut, it is boneless and is very easy to clean and prepare. We stopped buying from Costco shortly after, the reason is not hard to figure. The size of everything from Costco are humongous for a family of two, it started feeling more like a burden and I hate having to throw away many unused rotten vegetables. Coming back to the salmon, I got tired of the meaty tasteless fillet, I grew up eating whole fish and enjoyed sucking on fish bones and head, we stopped buying salmon for a long time, until one day I discovered fish belly and fish bones in Hmart. I bought a packet home and managed to turn a 7 dollar box into three different dishes! How economical is that. Not to mention I thoroughly enjoyed the bones and succulent belly! Mango lassi is one drink I really enjoyed during my stay in India. With hot summer days come mango season, with different kind of mangoes in the market, a glass of mango lassi is in need! It is sweet, smooth and full of flavor, oh so satisfying! My son A is a yogurt lover, when I used to buy store-bought organic yogurt, he can downed 4 squeezers in no time. I also used a lot of yogurt in cooking and as condiments in Indian foods. I started feeling it when I have to bring 2-3 boxes of yogurt every trip to grocery stores, it could add up to quite a bit especially we only consume organic ones. It is also very hard to find full cream/whole yogurt, most store-bought yogurt, even the organic ones are mostly low fat, which we have been trying to avoid for a long time now. 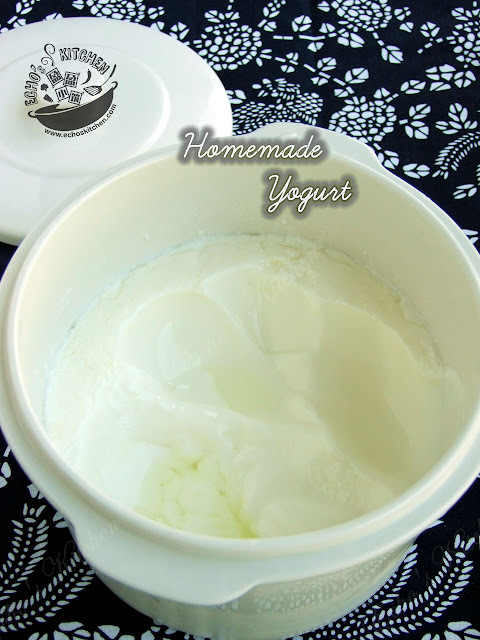 I started making yogurt at home few months back since I have a steamer that comes with yogurt function. Making yogurt at home is pretty easy, you don't really have to invest in a yogurt maker or steamer, there are many incubators you can try on, such as a thermos, crockpot, covered container, a microwave, heating pad. It also takes literally only 5 minutes to make the yogurt as long as your tools are sanitized and cleaned beforehand, I normally make mine before going to bed and let it incubate overnight. Try making it at home if you are not already did, it is worth the while and tasting so much better! 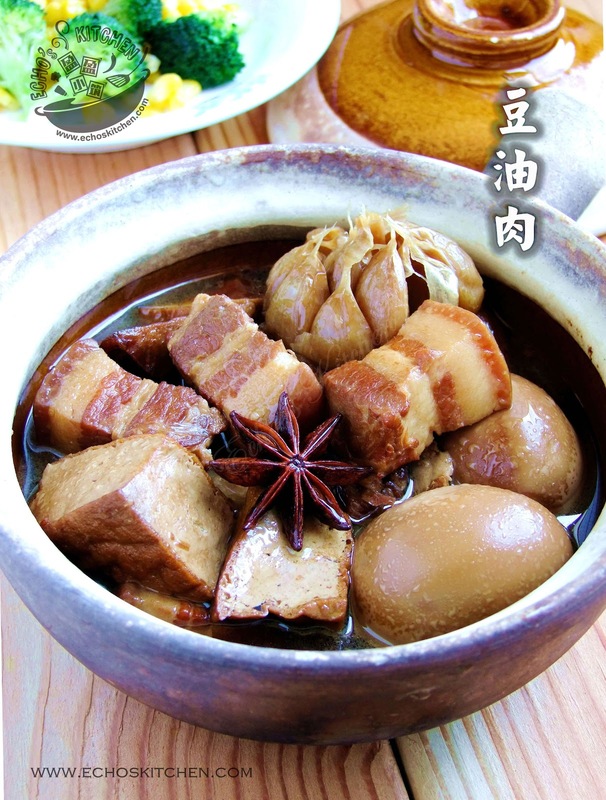 I gotta insist that one pronounce the name of this dish in Hokkian (Minnan), light soy sauce is called "Tau Yu" and meat in Hokkian is called "Bak" thus the name of this dish, Tau Yu bak means meat braised in light soy sauce! It is a very typical Hokkian/Minnan dish and the recipe is often heritage and passed down from mother to daughter, so you can now guess where I got mine from! The preparation is a little similar to its close cousin "Hong Shao Rou/红烧肉", but Tau Yu Bak has thinner gravy and is almost always prepared with fried tofu cutlets and hard boiled eggs. My dad's favourite way to enjoy this dish is to drizzle the gravy over steamed rice and mixed before digging in. I did the same for my son A and he had a big bowl of it! I made puri not long ago and many of my friends (especially Chinese) told me that it looks like a kind of fried bread in XinJiang, China. I wouldn't be surprise as Batura might as well be one of the type of food in India which trace its origin way back to the Arabian/muslim influence! I personally think Batura actually looks more like the deep fried bread they refer to in China! Thepla is a type of Gujarathi flat bread, this type we have today is made with fresh fenugreek leaves, whole wheat and chickpea flours along with some spices. 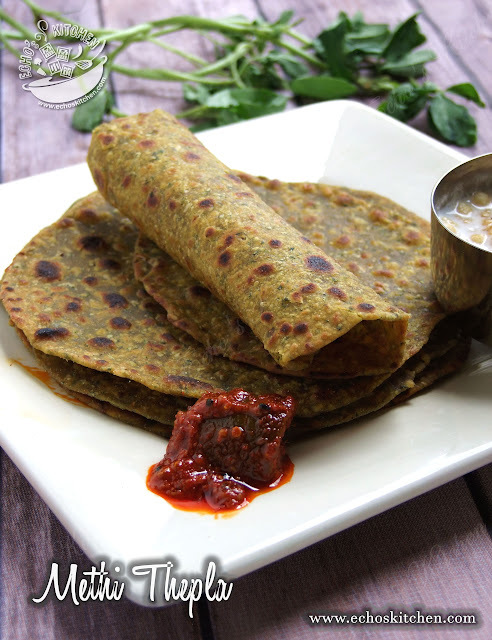 It is full of flavours and tastes best with just yoghurt and pickle. We had a Chaat party over the weekend, our friend Iena helped boiled some potatoes for the Papdi Chaat and left me with two. Since my husband N has been in the Chaat mood lately, I turned the potatoes into these cutlets, N enjoyed it in the afternoon with a cuppa hot Chai. The first time I tried Three-cup chicken was made by a Taiwanese friend. 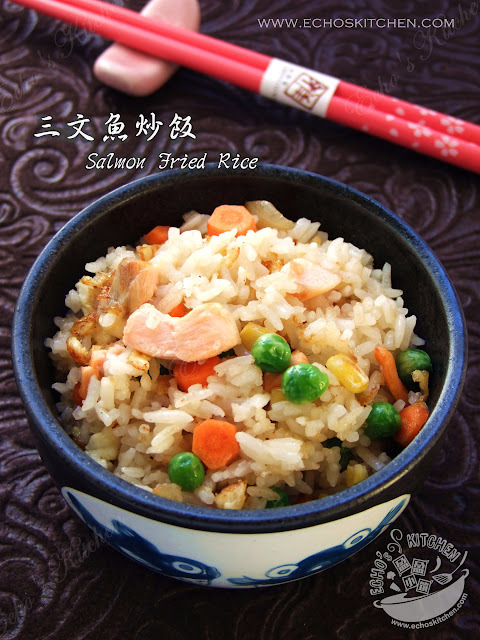 It was a love at first sight！ It goes so well with steamed rice and I can't seems to have enough of it! I planted some Thai basil this summer and made this dish a couple of times! Original recipe posted on September 2009. 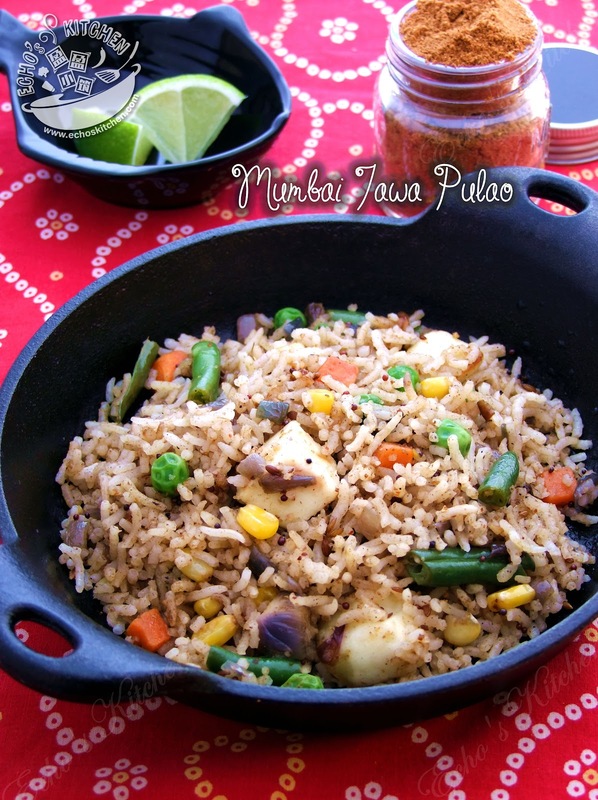 This pulao is made in the same Tawa/frying pan that the hawker prepared the world famous snack-- Pav Bhaji in Mumbai, with the same spices/masala. 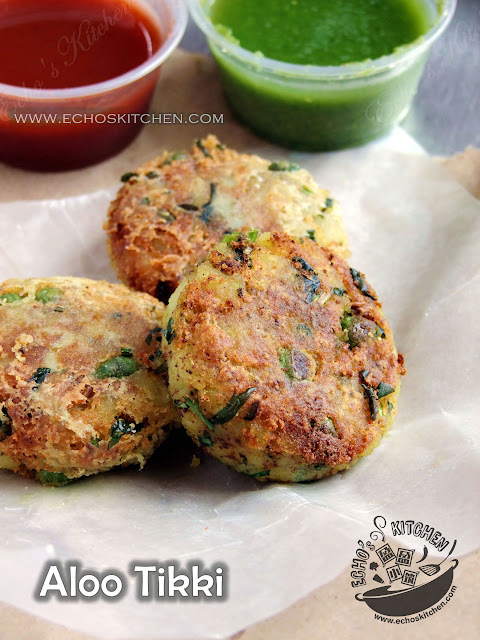 It has the fragrant of Pav Bhaji yet is so much more filling. I made this for hubby's classmate gathering, it turned out so well and they finished it all! 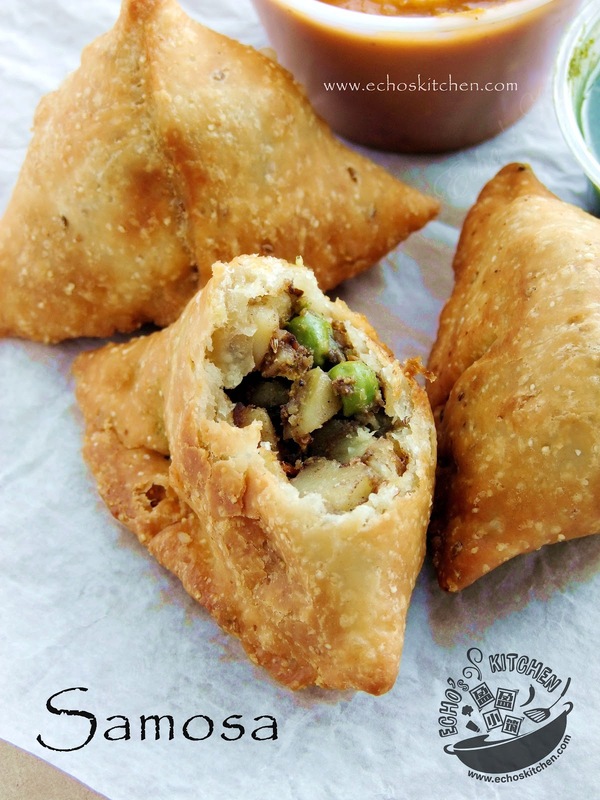 Samosa is a stuffed pastry, a common snack in India, we have a similar version in Malaysia called "curry puff" made in different shape, but tasting as good. Nothing is more enjoyable to have some hot samosa with a cup of tea in a cold, cozy afternoon. A few friends decided to come over and visit this weekend, I made this samosa for snack, and our friends love it very much!